I know that this photograph isn't strictly anything to do with the Hazelnut Orchard, but I couldn't resist letting this cat in. 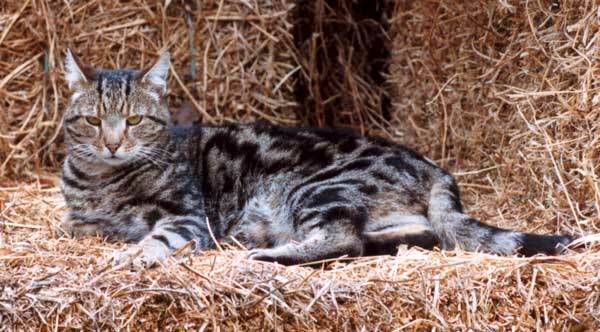 Sifter used to spend a lot of quality cat time in the hay-barn down the back of the orchard paddock. Mice and rats beware - Sifter could still be here. He's big. He's very good. And he's HUNGRY. Sifter the cat is currently AWOL - but that's another story!